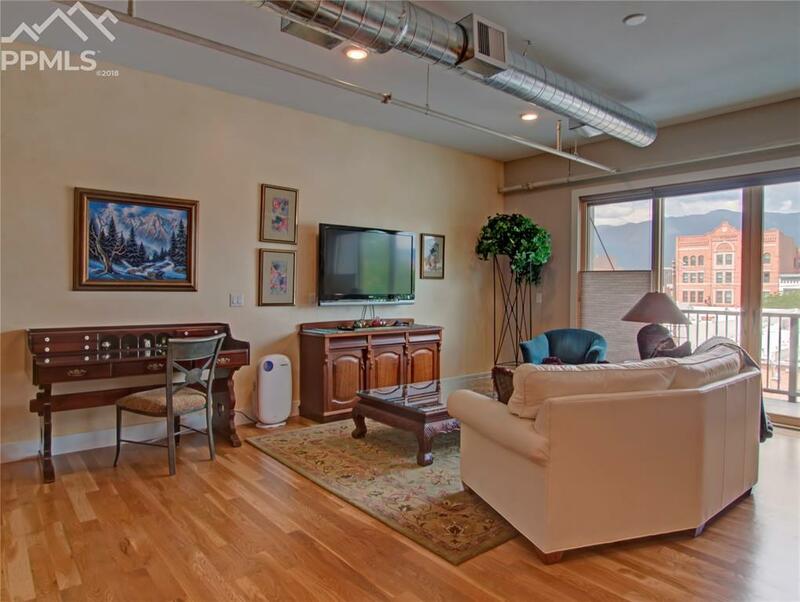 The Bijou lofts are located in the heart of downtown! 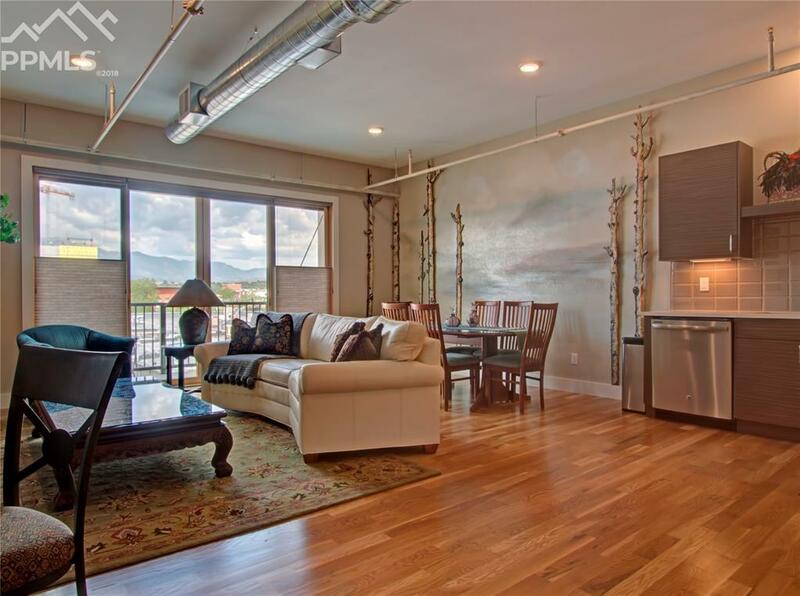 Large private balcony facing west with fantastic front range views. 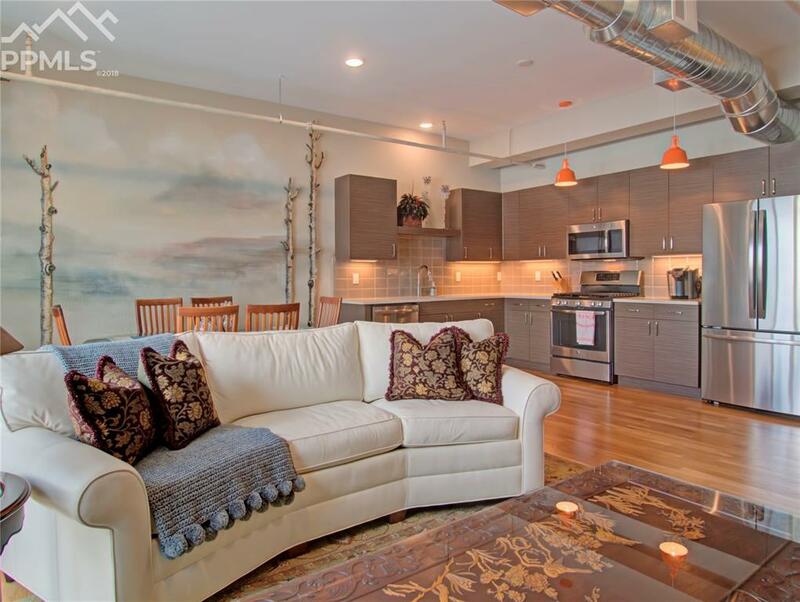 Open floor plan with 10' ceilings, exposed ductwork, and white oak flooring throughout. Modern finishes including gourmet kitchen, custom cabinetry with soft close drawers/doors, quartz counters, tile backsplash and GE stainless steel appliances. Custom paint including feature wall in living/dining space. Spacious bath with quartz-topped vanity, tile flooring and 6' tile shower. Walk to all your favorite amenities! Elevator access. 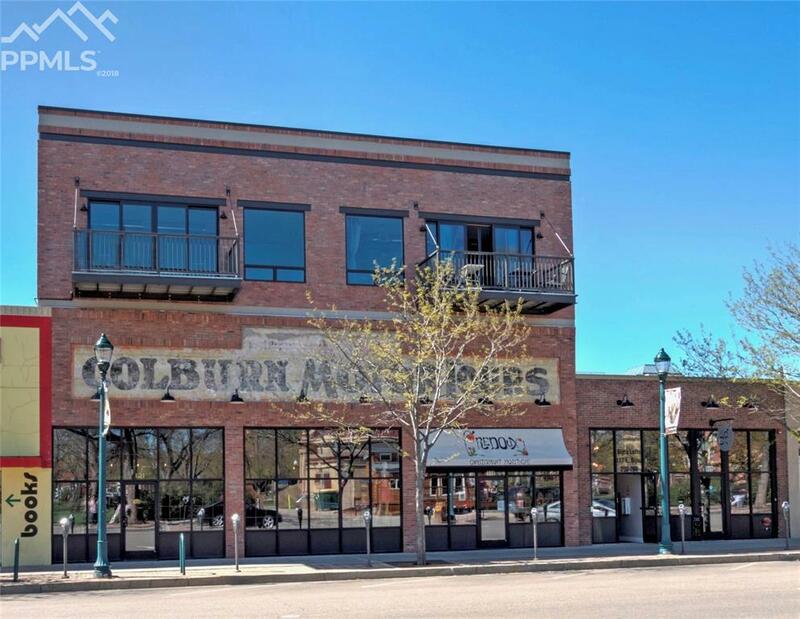 Attached loading garage for moving/unloading groceries plus one deeded parking space in nearby secure garage. Also includes on site private storage room.